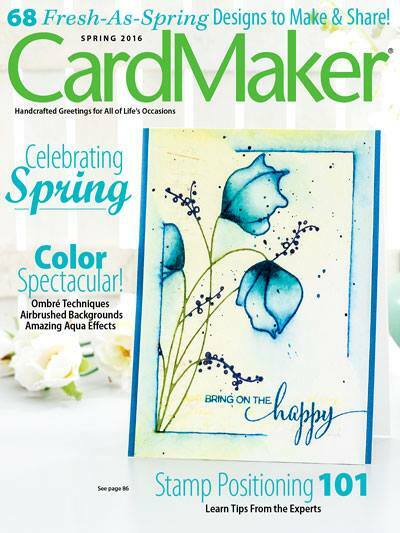 Does this postcard scream summer or what?!? 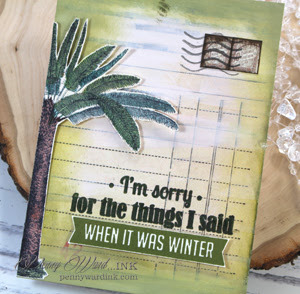 The card front, Palm tree, stamps and tab at top are from a digital scrapbooking set I found on the big World Wide Web. 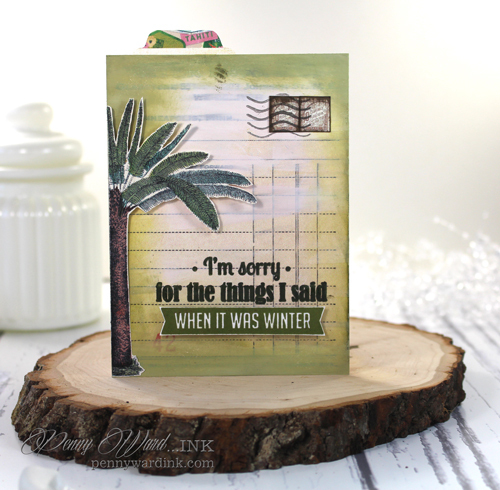 I love how the summery feel of the card was paired with this perfect sentiment in the Summer Fun stamp set by The Project Bin. Gesso was used to tone down the "receipt" background paper. Edges were inked with Crushed Olive. This stamp is soooooo versatile. 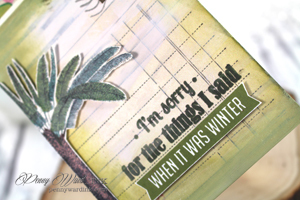 Use the top line of the sentiment alone, use the bottom line for a super cute page in a scrapbook.